“Father if You are willing, remove this cup from Me; yet not My will, but yours be done. 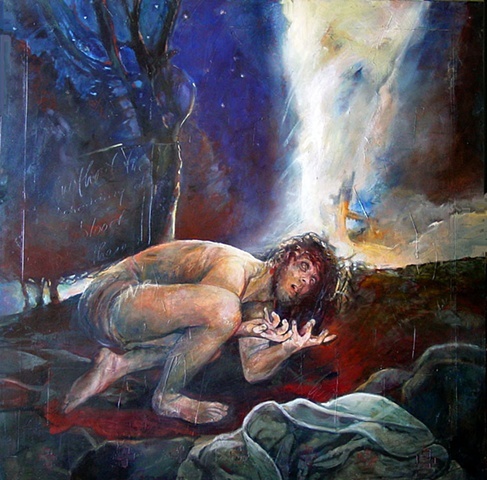 …and being in agony He was praying very fervently and His sweat became like drops of blood, falling down upon the ground,” (Luke 22:41 ff). “He had no stately form or majesty that we should look upon Him, nor appearance that we should be attracted to Him. He was despised and forsaken of men, a man of sorrows and acquainted with grief; And like one from whom men hide their face.” He was not one who stood out in a crowd. He was a broken, despised and crushed. A suffering servant.